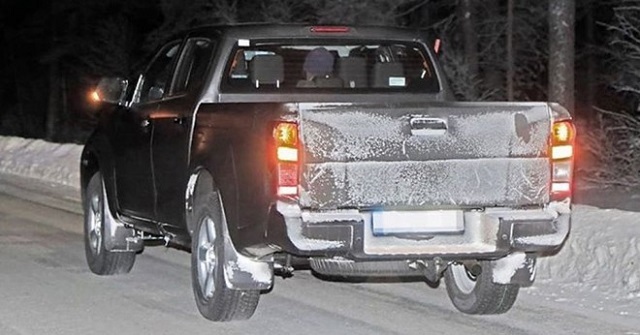 A prototype of the third-generation Isuzu D-Max has been spied testing somewhere in Scandinavia. 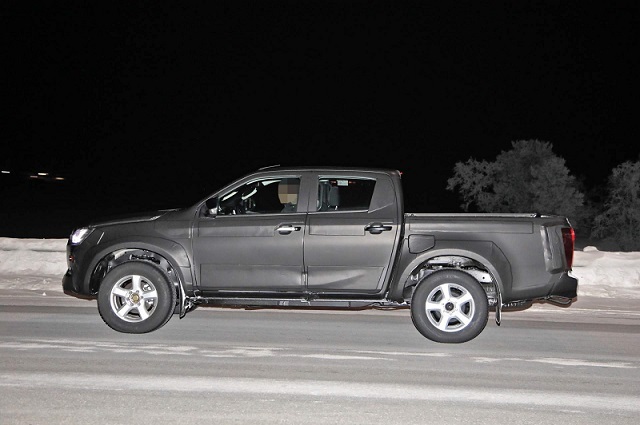 The mid-size pickup truck was caught totally camouflaged, but we see some changes regardless of the heavy cladding. The workhorse comes in double cab configuration and shows a pair of new full-LED headlights, as well as a notably larger grille. In addition, the 2020 Isuzu D-Max appears to be fitted with a more rugged bumper, while the rear end still features vertical taillights, which seems to be coupled with new graphics. The new bed looks just a bit longer from today’s, plus it might also be additionally rounded on corners. The truck is fitted with an underfloor-mounted spare wheel and mirror caps with integrated turn signals. All the way in the back, the new D-Max shows a single exhaust pipe, which is a clear sign what powers the pickup truck. More precisely, the 2020 Isuzu D-Max will most likely continue to exploit today’s 1.9-liter four-cylinder turbo diesel engine. On the other hand, it’s not clear is there going to be more power for the amazing mid-size pickup, or the model stays limited to 163 PS (161 hp) and 360 Nm (265 lb-ft) of torque. Updated or not, the mill will definitely keep its four-wheel-drive system, and six-speed manual and auto gearboxes. For markets outside of Europe, the automaker intends to offer an updated version of today’s 3.0-liter four-cylinder turbo diesel. Of course, the U.S. model isn’t going to happen for sure. The totally redesigned pickup truck will definitely get a completely new cabin. Unfortunately, our photographers haven’t managed to get a glimpse of it this time. In any case, the exterior side image shows longer rear doors, so we suppose there’s going to be more room for the backseats. The new cab will undoubtedly get better quality materials and new technology, while the automaker promised improved ride quality as well. The current model came all-new in 2012, so it was about time to see something new. However, the 2020 Isuzu D-Max will not be ready before this winter or even early 2020.